To work alongside the likes of Mark Thompson and Neil Craig is a fantastic opportunity and I can’t wait to share my experience and football knowledge with this exciting group of players. Essendon Football Club is pleased to announce Nathan Bassett has joined the club as an assistant coach for the next two seasons. Bassett brings great experience to the Bombers after coaching Norwood to back-to-back premierships in the SANFL. The 36-year-old said he was excited about his opportunity to ply his trade at the elite level. 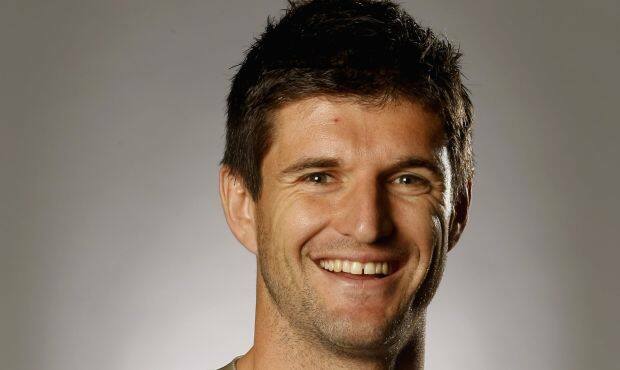 “I’m really excited to be joining Essendon as an assistant coach for the next two seasons,” Bassett said. Senior coach Mark Thompson said Nathan would be a great addition to the club’s coaching panel. “Nathan comes highly regarded, and has proven his credentials and talents as coach during his time at Norwood in the SANFL,” Thompson said. Football operations manager Steve Alessio said it was great to have the coaching panel locked in for 2014. “Nathan really impressed us during the selection process and we feel he will complement our coaching panel,” Alessio said. Bassett played 210 games for Adelaide between 1998 and 2008. He joined Norwood Football Club as senior coach in 2010 and coached the 'Red Legs' to back-to-back premierships in 2012 and 2013.